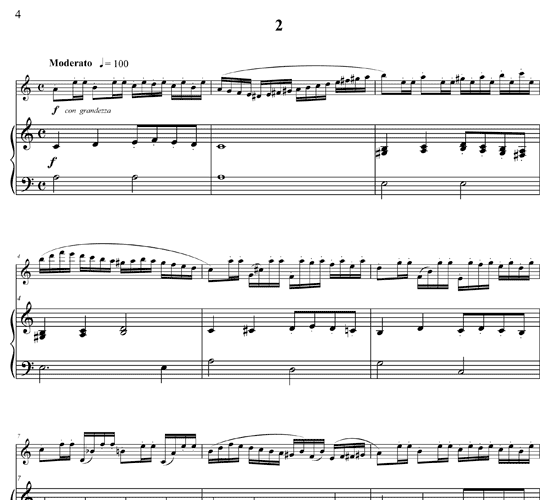 The “Andersen Studies” are an evergreen in the study of the flute. In fact, many teachers would rank it the number one book of studies. They are highly musical with wonderfully crafted harmonies, and with many of the musical problems set out for flutists to solve. Andersen was a genius to have written such excellent studies. 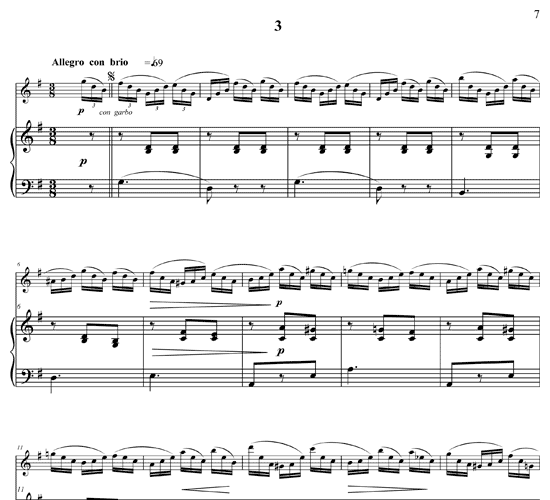 As Paul Taffanel remarked, “these Studies are as good as the 'Chopin Studies' for piano.” The price has been kept as low as possible and reflects good value given the number of pages involved. 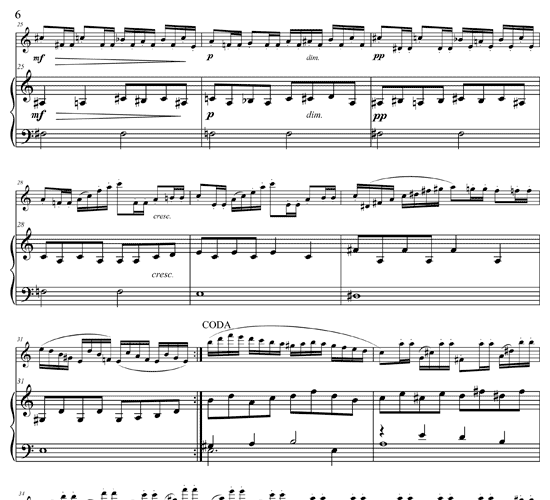 There is an optional audio version that contains the piano arrangement in two tempos, making them suitable for practice, for a total of 48 MP3s in all. 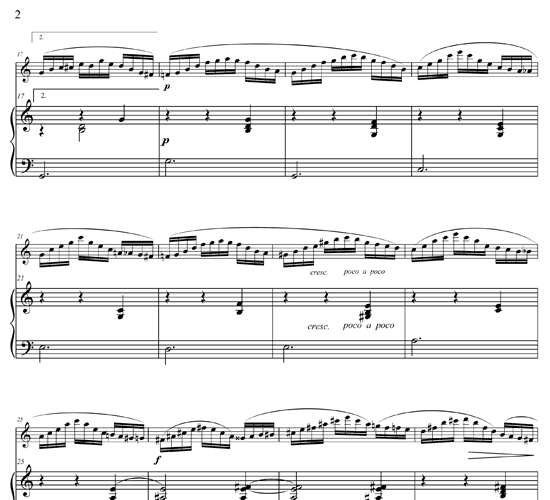 For this piece you have an option to also purchase the piano accompaniment as MP3 files. Here is a sample of Study 9 in normal and slower speeds. 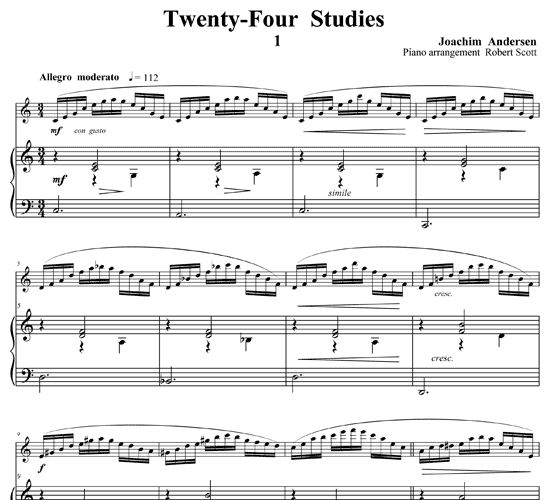 /wp-content/uploads/2012/04/mp3-anderson-24-studies-by-wye-normal-9.mp3Sample of “Andersen: 24 Studies, Opus 15,” Study 9, normal speed. 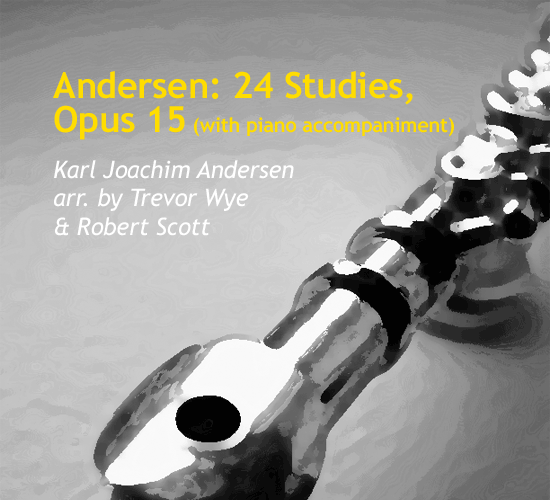 /wp-content/uploads/2012/04/mp3-anderson-24-studies-by-wye-slow-9.mp3Sample of “Andersen: 24 Studies, Opus 15,” Study 9, 20 percent slower. Select one of two formats. 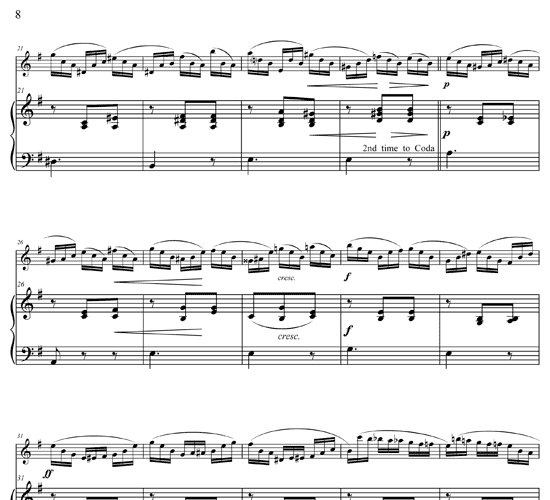 The $25 PDF format contains the score for flute with piano accompaniment. 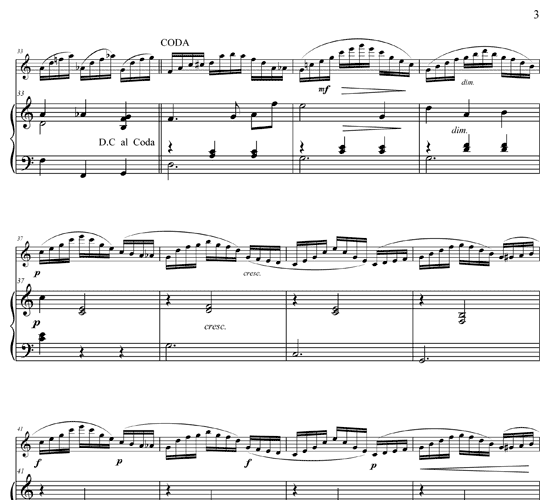 The $35 PDF & MP3 format includes the sheet music and two sets of audio MP3 files of the piano accompaniment for play along. The first set of 24 audio files is at normal speed and the second set is 20 percent slower. Moderately Difficult. 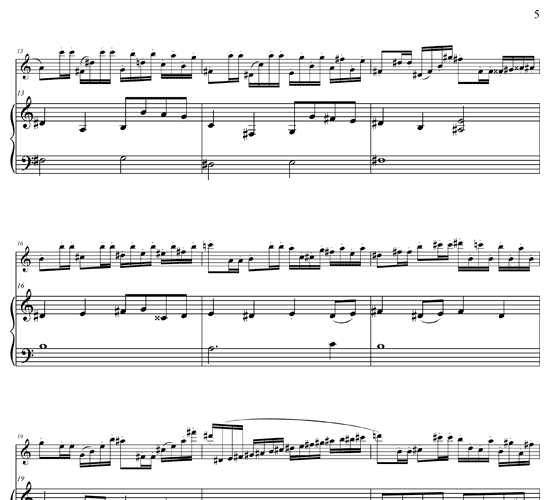 The piano part has been made easy to play.